We will see further than our Toy Box... Go with us as we venture to other countries learning about people around the world and exploring God's creations. I have been married for 16 years to the love of my life. I have a beautiful daughter,Katelyn, who has a sweet baby boy. I have a son Drue, and a daughter, Abigail. I have a wonderful Savior that I am in awe of daily! LOVE-LOVE-LOVE Ms. 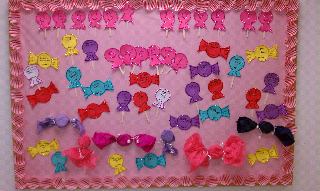 Carries adorable Bulletin Board!! !